How severely damaged our political institutions have become---and how imperative and urgent their restoration! Over the past weeks, the Senate--- once the repository of lofty and eloquent speech and even loftier thoughts, so that college students from Ateneo, UP and other schools would flock to its galleries to listen to formidable debates among political giants---has degenerated into an undisguised political tool for muck-raking, with no pretenses to anything else. For instance, the Senate has been holding hearings on allegations of big-time corruption in Makati City since the time of then Mayor, now Vice President, Jejomar Binay, and Sen. Antonio Trillanes has brought in various witnesses to testify and build up this issue against VP Binay and his successor-son, Mayor JunJun Binay. It’s obvious that Trillanes is motivated by his desire to bag at the very least the vice-presidency in 2016 and destroy the opposition led by the Binays. The day of reckoning for this Makati dynasty has arrived, especially since the Veep is widely acknowledged as the most likely winner in 2016---if an election would be held then, which at this moment looks iffy. But the fact that investigation into the long reign of the Binays in Makati is being held right in the halls of the Senate by staunch allies of President Aquino, with full blessing of Senate President Franklin Drilon who chairs the LP, smacks of the unbridled politicking that has been destroying the image of this once-venerable institution. Arroyo likened this failure to “a judge who hears a case but does not render a written decision.” Why no such decision? Let this blogger answer his query: it’s because the senators realize that the hearings were conducted faultily, but that never mind, the end has been achieved: to harass the witnesses. 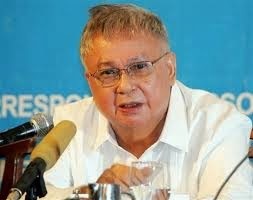 A Sandiganbayan associate justice warned recently about “(fixing) COA or else we cannot lick corruption in a hundred years.” That is true---corruption has become a way of life for us Filipinos and COA has to do its duty without fear or favor, impartial to the end if it is to make a difference. But the proper venue for airing charges and investigating political figures is not the Senate---especially in a politically charged climate already too preoccupied with 2016. The LP-led Senate has too many things it ought to concentrate on, rather than investigate and politically slay rivals for power. The right institution to conduct investigation of the Binays and other public figures suspected of corruption---be they allies of the President or in the Opposition--- is the Office of the Ombudsman, but it seems that its moves cannot match the TV heat and the headlines generated by a Senate hearing. Politics and politicking hang over this nation like a gigantic stink and it’s depressing. But what's even more depressing is that our politicians have become so callous and arrogant that they don’t seem to care any longer for their reputation or that they’re destroying their once-venerable institution. Remember how Drilon lawyered for the prosecution in the Corona trial and for Abad in the hearing on DAP. The venerable Ricardo Cardinal Vidal, former CBCP President and former Primate of Cebu and now one of the key leaders of the National Transition Council, may be already stooped by age, but his memory of recent contemporary events has not dimmed. 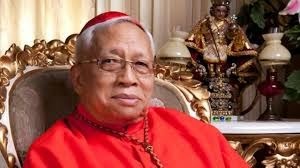 At Lipa City Cardinal Vidal, as though to justify the intervention that various faith leaders are doing in our current unedifying politics, recalled that as CBCP President and chair of the first assembly in January 1986--- just before the snap elections---he led the Church hierarchy in reporting on the massive cheating during the snap elections of the following month. The bishops’ pastoral letter denouncing the massive fraud was a watershed in the string of incredible events in 1986. Vidal recalled in Lipa that theologians in early 1986 had insisted on the call for change of government and how it was the moral obligation of the clergy to lead the people. Vidal recalled that Jaime Cardinal Sin, the Archbishop of Manila, did just that: he rallied people to EDSA (I might add that in fact Sin woke up by phone the Carmelite sisters at New Manila and ordered them to go down in prayer ON THEIR KNEES that evening and to remain kneeling until he ordered them to stand up). The rest is history. Interestingly, history is repeating itself. The bishops at Lipa, joined by their Protestant brother-ministers and Ulamas from Mindanao have asked Filipino “patriots” to defend their country and their beloved institutions now being destroyed systematically by the inept and corrupt Aquino administration. Cardinal Vidal recalled two other “intervention roles” he had to play. President Cory asked him to talk to Gen. Jose Comendador who was sympathetic to the rebel forces fighting her government in 1989. Vidal recalled that the general looked sick when he asked him to surrender. Comendador wanted to do this atop Mactan Bridge in Cebu, to which Vidal retorted, “Napaka-artistahin mo naman.” Finally the rebel general surrendered without the prelate around. The rest is again history: President Macapagal Arroyo was sworn into office in January 2001 by then Chief Justice Hilario Davide. Not too long afterwards the trial of Estrada before the Sandiganbayan began on charges of corruption and soon he was convicted and charged with house arrest in his mountain estate in Tanay. The day after, a number of high-level politicians allied with GMA campaigned her to pardon of Erap.